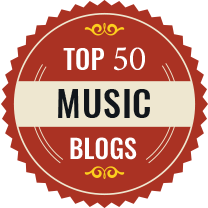 The reign of Queen Mary I provides a rich seam for musicians. 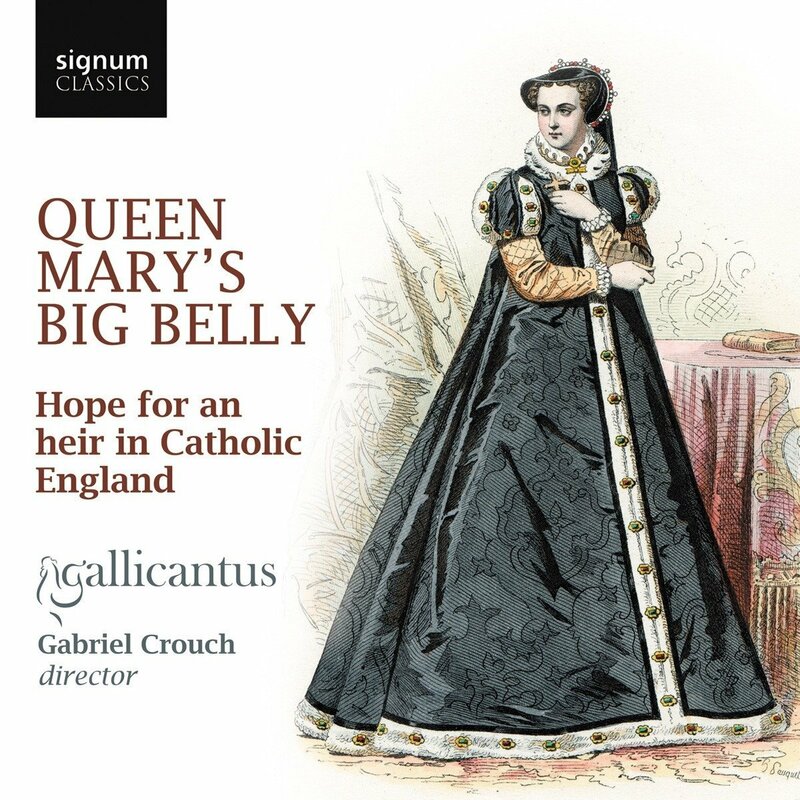 There is the contrast between the new simplicity of music under her predecessor, King Edward VI and the late-Tudor flowering of English polyphony under the restored Roman Catholic Church in Queen Mary's reign. Her marriage to King Philip of Spain brought forth music such as Thomas Tallis's Missa puer natus est along with the fascinating interaction between the choirs of the English Chapel Royal and the Spanish Capilla Flamenca, and of course Mary's phantom pregnancies. 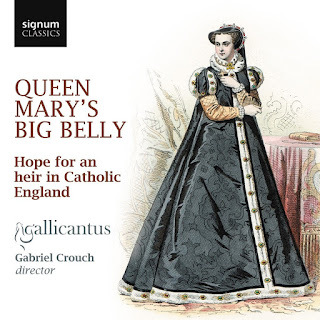 This last topic might seem a curious theme for a recital disc but on Queen Mary's Big Belly on Signum Classics, Gabriel Crouch and Gallicantus use the topic to create a fascinating musical narrative. Perhaps simply a frame on which to hang music, the programme traces a musical year in the life of Queen Mary. But what music it is! We get choral music by Philip von Wilder, William Mundy, Christopher Tye, Thomas Tallis, and John Sheppard, along with a selection of songs with lute, with Elizabeth Kenny. Mary married in July 1554, and the programme begins in expectation with a Pater Noster by Philip van Wilder which was probably written as a devotional piece for the privy chamber, along with a sequence which hovers on the edge of the sacred with William Mundy's three-part canon Exurge Christe (a specially written text), Christopher Tye's eccavimus con patribus and Te spectatnt Reginalde, poli by Orlande de Lassus. This latter was written for the Queen's cousin Cardinal Reginald Pole, who became Archishop of Canterbury. Lassus is a slightly unexpected figure in the story, but he seems to have popped up in England in 1554 in the entourage of the Neapolitan singer-diplomat Giulio Cesare Brancaccio. 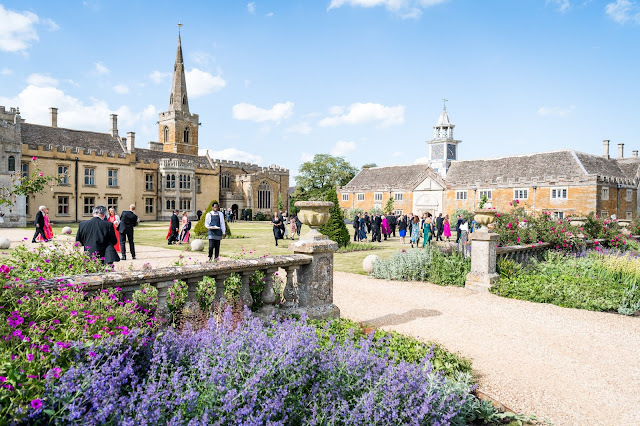 We next move into the secular life of the court, with a selection of items from the Mulliner book sung by solo voices (Gabriel Crouch and Mark Chambers) with Elizabeth Kenny (lute). 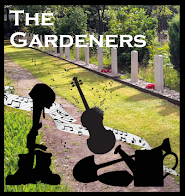 The New Ballad of the Marigold has a text by William Forrest, author of the text Vox patris coelestis set by William Mundy, whilst Like as the doleful dove is by Tallis. By November 1554 hopes were up for a baby, and the newly discovered Sarum Litany, based almost certainly on Tallis's five-part English litany, directly addresses this (though the version recorded seems to omit the specific prayers for Queen Mary and King Philip). And in one of the surviving sources, the litany is followed with Tallis's O Sacrum Convivium, as here. The passing of time during the Spring is evoked with Tallis's respond for the Purification, Quod chorus vatum, Sheppard's respond for the Annunciation, Christi virgo dilectissima and a psalm for Maundy Thursday when Queen Mary performed on of her last public duties, the foot-washing, Sheppard's Deus misereatur. She then retired to wait. For the Garter procession on St George's Day she appeared at a casement window to watch her husband preside, and we hear Sheppard's Martyr Unicum, one of the hymns sung at the feast. Whitsun is represented by Tallis's Loquebantur variis linguis, wth Sheppard's Libera nos for Trinity. We also hear smaller scale pieces, two versions of Sheppard's song Vain, all our life, one sung by Richard Bannan with Elizabeth Kenny, the other as a part song. Gallicantus is based around a six man vocal ensemble, with counter-tenors on the top. For this disc they expand to nine, including soprano Zoe Brookshaw who joins them for four numbers. All the motets are sung one voice to a part, and the majority have a counter-tenor on the top line with keys which take both Mark Chambers and David Allsopp well into their upper range. The result is a highly specific sound which may not appeal to everyone, and is certainly very different to the standard choral performances of much of this music. What the performances do gain is a real sense of intimacy and superb clarity; all concerned sing with a beautiful elegance of line, and expressive beauty. There is an excellent booklet note (by Magnus Williamson) providing copious historical and musical background. Given the amount of comment and gossip the events generated, you can't help feeling that this would make a good live show combining music and text. You can imagine larger scale performances of some of these pieces, but none more controlled or so finely expressive. And the performers give the music a sense of the intimate nature that must have characterised much of the Royal music making.